Hopefully, I will be able to find the gameboy game as well as the new Wonderswan Macross game which is out on 23 March by next week. As soon as I find them I will give you all a full report and a nice set of scans. * The new Studio Half Eye 1/100 scale transformable VF-19S resin garage kit which will sell for ¥25,000. * Two small pictures from the Macross Plus Game Edition including a nice split screen tw player shot. 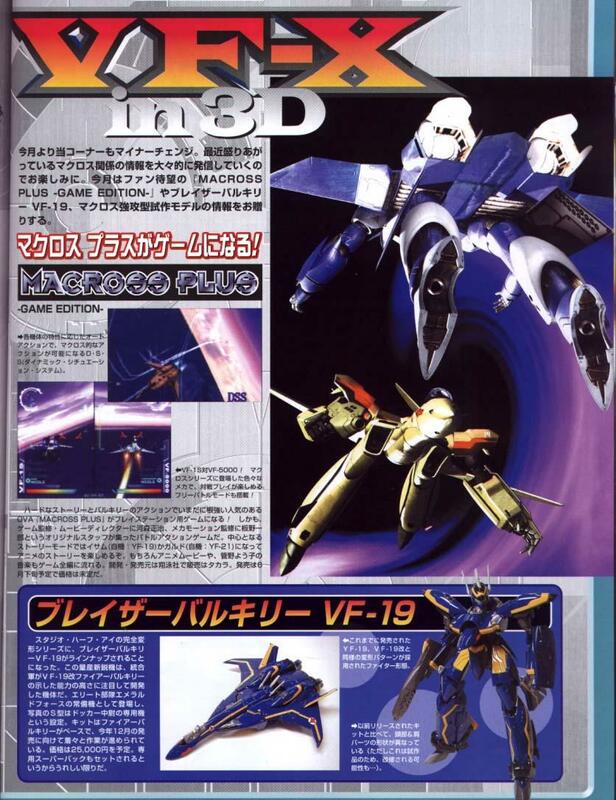 * A new CG pic of the YF-19 & YF-21 in Gerwalk mode. Perhaps this picture will be the box art for the Macross Plus game? 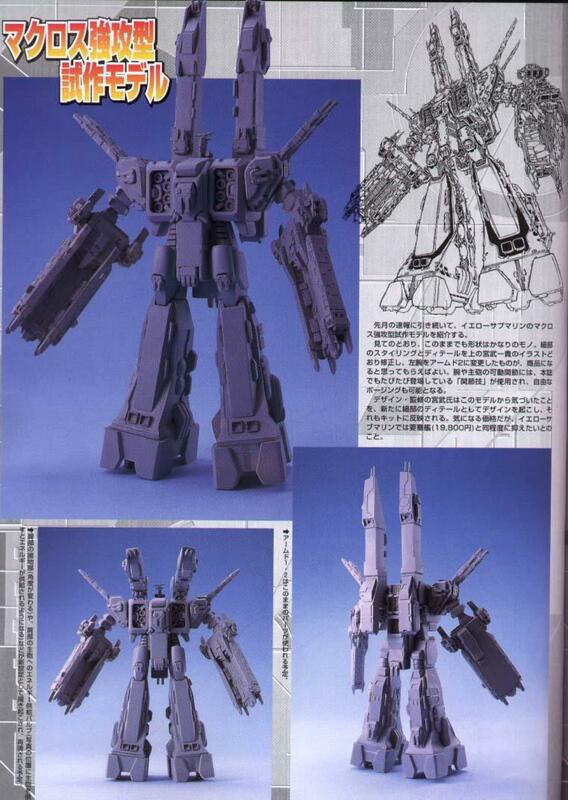 * Pictures of the new SDF-1 Storm Attacker-Construction mode resin garage kit. I think this kit is going to be released by Yellow Submarine (correct me if I'm wrong shawn) and will sell for ¥19,800. The release date is not confirmed yet I think.